New Delhi: Naandi Education Support & Training (NEST), a technology-driven, social impact focused company, recently secured a follow on funding of INR 4 crore (approx. USD 600,000) from its current investors, the Michael & Susan Dell Foundation and Anand Mahindra, Chairman and Managing Director of the Mahindra Group. NEST owns and operates high quality learning centres for less privileged children under the brand name, alphabyte- TheLearning Centre. 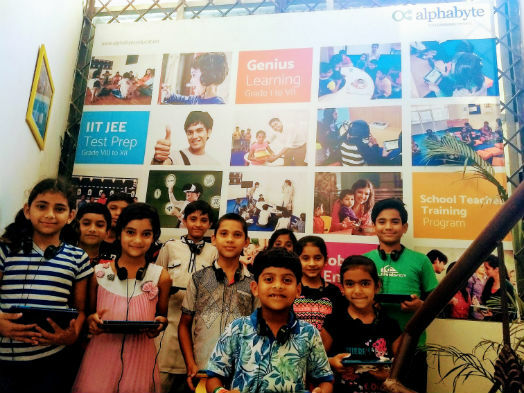 With a unique ‘Tech-N-Brick’ education model, Alphabyte aims to significantly raise education quality across urban India.At Alphabyte, technology is seamlessly used to fast track learning of every student through customised learning modules that are curated from the best knowledge providers and pedagogies across the globe. With this round of funding, NEST will be able to grow its outreach to a larger number of students and achieve its goal of educating 10,000 students by FY 2022. ”We at NEST work towards building an empowered society by creating learning opportunities for different teaching-learning age groups, leveraging best possible Ed-Tech solutions globally. Continued support from our investors and their understanding of social challenges are definitely vital to our motivation and adds value to our operations.” said, Rahul Ranjan, CEO and Director of NEST.